Aircraft ownership offers the business traveler benefits that the Fortune 100 flight departments have known for many years–that is the value of aircraft ownership managed by a professional management company. The ability to bypass the hassle of security lines and the limited schedules and airports offered by the commercial airlines provides the business owner with control over their schedule and their time–something the airlines’ “one-size fits all” approach simply cannot provide. Higher Calling Aviation aircraft management clients have the ability to depart Charleston in the morning, attend business meetings in Atlanta, Charlotte and another in Columbia and be home to their family the same evening. 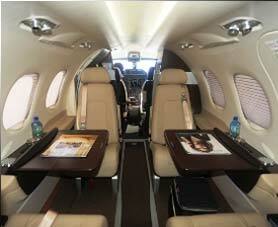 This is just one example of the flexibility that aircraft ownership managed by Higher Calling Aviation provides. People or companies who wish to benefit from aircraft ownership will typically seek the expertise of an aircraft management company to oversee the safe, efficient attention to the regulatory and maintenance schedules required to operate an aircraft. Additional services include flight crewing and selection as well as negotiation of insurance, hangar and fuel vendors and contracts. Higher Calling Aviation is a Charleston based aircraft management company specializing in providing aircraft owners and their associates with private travel conceirge service, tailored to your requirements. Whether you desire to fly from Charleston International (CHS) or the Johns Island airport (JZI), our goal is to meet your travel needs safely and efficiently. Whether considering an aircraft for your personal and business use and need assistance with aircraft acquisition analysis to fit your travel requirements or you’re already an aircraft owner seeking a management company, we’ll work with you to develop a customized plan to fit your requirements. For Charleston SC Aircraft Management please contact us. For the busy entrepreneur who is contemplating a move from a piston single, twin or even a turboprop to a single-pilot jet, the challenges of flying the new aircraft are just the beginning when it comes to navigating the jet environment. Acquisition questions regarding the choice of manufacturer, the type of equipment for the new airplane, regulations aimed specifically at jets and those that operate them, differences with the jet powerplant and operating in RVSM airspace are issues that just barely scratch the surface when it comes time to make this transition. These new challenges for the aspiring jet owner-operator are a good reason they should consider supplemental services offered by Higher Calling Aviation such as Acquisition, Factory Acceptance, Delivery, Type-Rating Preparation and Mentoring offered by a professional pilot. The purpose of this article is to touch on just some of the issues that face the owner making the transition in order to provide a framework for the aspiring jet operator to consider when he decides to pull the trigger on a jet. While Higher Calling Aviation can assist the new jet owner with tax considerations, acquisition analysis and comparison, this article will focus on a few of the operational issues facing the pilot once the acquisition has taken place. Acceptance and delivery, training options as well as insurance company mandated mentoring requirements. The transition for most pilots who own and operate their own aircraft normally begins with a light single-engine piston aircraft and then a move to a twin-engine aircraft. Alternatively, many owners are skipping the traditional single-twin transition and going directly to a jet after 300-600 hours in their Cirrus, Cessna 400, Bonanza or TBM. Most of these operators are in many cases, very successful entrepreneurs or business people who have been flying as a hobby or to assist them in their business or pleasure pursuits. While operating a Cirrus, Bonanza or TBM for business or pleasure is a great way to travel, it is quite a bit different than operating a jet. For this reason, once the new aircraft is purchased, new owners of these aircraft will solicit the services of a professional pilot to assist in the Factory Acceptance and Delivery. Like any advanced technology, a jet has specific items that need to be tested prior to operational use or acceptance prior to purchase. While a savvy entrepreneur may have negotiated multi-million dollar deals in the pursuit of his business, accepting a new jet is very different pursuit. Using the services of a trusted adviser, in this case an experienced factory acceptance pilot to assist the new owner through the acceptance process will save the new owner time, money and some headaches. Paint, interior finish, environmental systems and radar are just a few of the items that need a thorough review and if necessary adjustment to ensure the aircraft functionally and cosmetically correct prior to acceptance. While assisting a client during a recent delivery of a Phenom 300, there were minor paint as well as cabin ventilation issues that were uncovered during the acceptance process. The manufacturer was very attentive to the issues and immediately addressed them prior to delivery. A new owner, without the assistance of an experienced acceptance pilot, would likely never know anything was amiss. The acceptance process should be a celebration for the new owner. It’s a milestone and achievement not only in one’s personal life but also as an aviator. The celebration, if not handled correctly can turn into a laborious, pain-staking event if the proper preparations have not taken place, including having the right assistance during the process. An experienced factory acceptance pilot can assist the new owner with the pre-acceptance squawks that invariably come with both new and used aircraft acceptance. Before the aircraft is purchased a major decision facing the owner-to-be is where and how to train–in the simulator or in the aircraft? For the low-time pilot seeking his first jet type rating, the answer to the question is often dictated by their insurance carrier. Some carriers will allow some combination of in-aircraft training followed by recurrent training in a simulator. For some carriers, simulator training is the only way. Needless to say, there are choices for the pilot who is not interested or unable to spend two weeks away from home staying in a hotel to obtain his type rating in the simulator. The simulator is the corporate, one-size fits all “big-box” approach and is widely accepted by insurance carriers as their preferred method of jet type-rating training. The simulators for today’s light jets are outstanding, full-motion masterpieces that are so realistic, the occupant would not know they were in a simulator except for the stairs to get to the “cockpit”. The capability to see any possible malfunction that could occur in the aircraft is a great learning tool. However, even with all the technology of the simulator, there are drawbacks. Many pilots are not enamored with the big-box approach to training and have opted instead for in-aircraft training. The ability to train at their home airport, in their own aircraft at their own pace with an experienced instructor has many owners seeking out in-aircraft training. 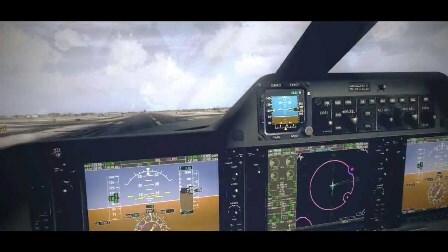 Just as in the simulator, there are drawbacks to this method of training as well–the inability to practice all of the known malfunctions (although rarely are all of the malfunctions practiced in the simulator), the cost of fuel in addition to the training expense are a few of the drawbacks. However, for the pilot who likes to train at his own pace with an instructor of his choosing, in-aircraft training is the way to go. After the training and the FAA examiner presents the new jet pilot with his type-rating, what next? For a pilot with no jet time earning his first type rating in the simulator, the FAA mandates a 25 hour Supervised Operational Experience or (SOE) requirement. According to the FAA, the SOE may be flown with anyone typed in the airplane and they don’t have to be a CFI. Talk to your insurance carrier before you begin SOE to ensure you and they are on the same page. While your SOE may be the last training requirement to get you officially certified as single-pilot qualified in your jet according to the FAA, your insurance company will have some more to say depending on your experience. As much as 100 hours or more with a CFI typed in your airplane may be required. Due to the variations in experience it is imperative that the new jet pilot get the rundown from their carrier to avoid any surprises. Do you need help with Jet Aircraft Acquisition Planning for Acceptance and Delivery?? While a few of the considerations in purchasing a jet aircraft were presented, there are many other considerations that time and space don’t allow me to cover. If you are considering the purchase of a jet aircraft, contact a trusted adviser. 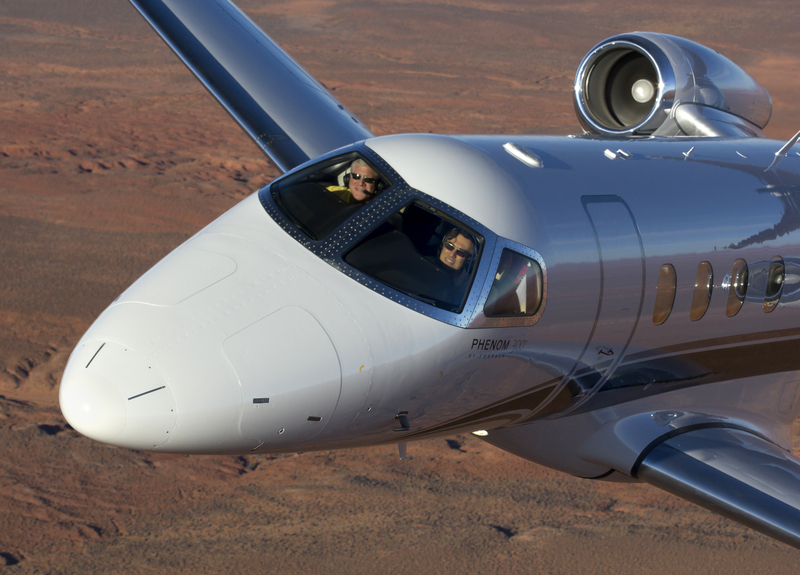 Higher Calling Aviation can assist you with all of the facets of the jet acquisition. But what if the forecast doesn’t turn out as planned? Once airborne and as we approach the airport what if the ceiling and visibility are lower than the observation we saw just prior to our departure? What airports other than the designated alternate will provide an “out”? Having a plan that keeps you “legal” is one thing–even better is a “backup” to the backup. During IFR training we’re all taught the rules and before we’re certified as instrument pilots we need to understand them–not just to be able to recite the rules but to apply them. Part 91 operations specify that if the forecast ceiling at our planned destination is to be less than 2000′ and visibility less than 3 miles plus or minus an hour of our planned ETA then we need an alternate. For a prospective alternate to qualify there are several criteria we need to look at depending on the type of approaches available at the airport. But as operators, beyond just obeying the rules in our normal day-to-day flying, a typical trip can stretch the range capabilities of the airplane and will limit the available alternates to those close to our destination. The problem with this approach is that the weather at the prospective alternate is probably similar to the destination weather thus defeating the purpose of the alternate, that is, a place we can go if our destination doesn’t work out whatever the reason. In the example above we’re legal but what about an alternate if the designated alternate doesn’t work out? A “hip pocket” option that isn’t necessarily written down and may not even be briefed but one that the pilot in command knows that if it “hits the fan” and I need somewhere to go in a pinch that that is where he’s headed. Of course, there aren’t many options available to the pilot who takes his aircraft to its limits in range, whether legal or not. This “hip pocket” option probably won’t be available to the “no-margin”, take-it-to-the-limits pilot. On the other hand, when our planned destination does not stretch the range limits of our airplane we will still normally pick an alternate that is close to our destination out of practicality–we’re using an airplane to go somewhere and we normally pick airports that are close to where we’re headed once we land. What good is it to fly to an airport that is distant to where we want to go? This defeats the purpose of an airplane doesn’t it? So, with the above flight planning options in mind a hip-pocket or “plan C” option that gives you an option beyond the required alternate will always provide “out” as well as “peace” of mind. On a recent trip with a Phenom 100 owner where I was flying in the right seat and acting as mentor for the owner-pilot, our planned trip was from South Carolina’s Charleston Executive airport (JZI) to Atlanta’s Fulton County airport (FTY). The weather at FTY was 800 OVC and 2 miles visibility. The forecast for our arrival was 1000 feet and 2 miles. On the surface it seems like an easy trip, one that is well within the range capabilities of the airplane and one which we as a crew have made many times with similar weather conditions. Since the weather at FTY dictated an alternate we designated Cobb County McCollum Field (RYY) on our flight plan. The weather at RYY was observed at our departure and forecast for our arrival at 1200 OVC and 3 miles visibility–comfortable weather for an alternate serviced with GPS WAAS approaches and nearby to our destination if we needed a change in plans. But what if we indeed needed to change our plans? Was RYY of sufficient distance away from FTY to ensure that whatever weather conditions dictated a divert from our primary destination did not also spoil our alternate? Not in this instance but not because the ceiling and visibility wouldn’t allow us to land. Takeoff from JZI was uneventful with the ceiling and visibility at takeoff 600 and 2 with some rain showers. We experienced solid IFR with moderate to heavy rain showers during the departure and didn’t see clear skies until Colliers VOR near Augusta, GA, about 20 minutes after takeoff. After breaking out of the weather at FL 240 enroute to our cruise altitude of FL 280 there was a sense of relief since we were able to relax a bit, look up from the Garmin G1000 PFDs and weather radar and see blue skies. Enroute to Atlanta was uneventful and during the descent and arrival a look at the latest METAR for FTY gave us nothing to be concerned about. We were soon given vectors off the arrival and into some weather that looked tame on the weather radar. However, shortly after entering the clouds the Phenom began to be rocked by moderate turbulence with occasional brief bouts of severe. We didn’t observe any cells but we did hear approach speaking to another aircraft that the winds at Hartsfield-Jackson were reported at 35 knots with gusts to 55! While Hartsfield was well south of our current position and our destination we were getting rocked by some heavy turbulence. Additionally, we heard from the approach controller that a Citation enroute to FTY had just gone missed approach. Missed approach? What had happened? Five minutes earlier we had checked the observation at FTY and it was still 800 OVC and we hadn’t considered a change in plans. After I was able to get a word in edge-wise on a very busy morning, the controller clarified that the Citation had gone missed on the LNAV runway 8 approach at FTY. All things being equal, this meant that the real ceiling was more like 400 feet or possibly lower–we didn’t know. We still could fly the LPV approach to runway 8 with a DA of 250′ but based on the rapidly changing conditions and the reported and actual weather disparity we both had made the decision but just hadn’t communicated yet. However, moments later, after getting rocked by a few more bouts of “lift-your-feet-off-the-rudder-pedal” turbulence we had had enough and decided it was time to try another airport a bit more friendly to our plans that wasn’t in the Atlanta vicinity and less likely to include the “roller coaster” turbulence we had experienced. After a brief discussion and checking the weather we decided we would give Anniston, Alabama (ANB) a try. After landing my thoughts turned to what we could have done differently. Based on our plan and the weather conditions we observed both prior to takeoff and during the flight I don’t think there was anything flawed in the planning. There were no reports or forecasts for the turbulence we experienced nor was the forecast weather for our destination expected to get worse. However, the experience has renewed my belief that the old adage learned by every pilot early in their flying careers is a good one: to always give yourself an out. From a legal and practical perspective the FARs are a starting point where an alternate is concerned. Even better is a backup or “alternate for the alternate“–a place to go when even our backup plan is not an option. The “Many Benefits of Business Jet Ownership” is something that is very clear to successful entrepreneurs like Wayne Gorsek. Having a trained pilot like Dave Coffman on standby gives the business CEO even more flexibility to really concentrate on what they do best and still have the flexibility they need. Let me share with you his story. Wayne Gorsek dreamed of flying as early as his elementary school years. He was adopted and raised by his grandparents. His grandfather, Fred Gorsek Sr. worked at Scott Air Force Base in Belleville, IL. He would have his grandfather take him to the library to check out books to study about aviation, the US space program and the US Air Force. Wayne enrolled in the Civil Air Patrol and planned to enter the USAF. Instead, he ended up going the entrepreneurial route and founded Vitacost.com, an online vitamin company, in 1994. During this time he earned his private and multiengine ratings and bought his first airplane, a Rockwell Commander 112 single and later a Cessna 310Q twin. When Wayne founded Vitacost.com it became apparent it was going to take quite a few years of low pay and losses before he could build sales high enough to reach profitability. As a result, he sold his Cessna 310Q with the dream of one day becoming type-rated, owning and operating his own business jet. It took Wayne quite a bit longer than he expected, but in 2008 he bought a new Diamond Twinstar DA-42 to earn his multi-engine and instrument ratings and become familiar with the Garmin G1000 avionics. After 15 years in operation, Wayne took Vitacost public in 2009 as the largest shareholder and Chief Operations Architect. Under Wayne’s leadership, Vitacost earned INC 500 Hall of Fame and became the #1 online vitamin company in the world. At the time of the IPO, Vitacost was shipping over three million orders per year, had revenues of about $200 million per year and had created over 300 American jobs. 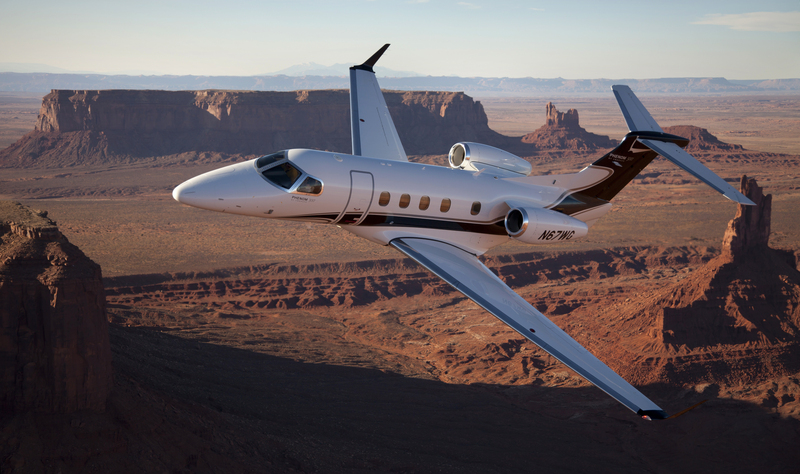 In December 2009, a few months after the IPO, Wayne earned his Embraer Phenom 100 single-pilot type rating and took delivery of a brand new Phenom 100. I first met Wayne when he contacted me to fly as his mentor pilot in his new Phenom. This gave Wayne the opportunity to operate the aircraft in a “real world” environment of advanced mentoring well beyond what is available via simulator based training. Wayne knew that moving up from a light piston twin to a high performance and advanced business jet could be intimidating, and flying with a qualified mentor pilot would provide for an outstanding training and confidence building experience. Flying into an unfamiliar airport at night or in weather for the first time in the actual aircraft can be intimidating, but having a qualified mentor pilot along can quickly build confidence by providing positive reinforcement. An unexpected turn of events occurred in December 2009 that was very similar to what happened to Steve Jobs in the 1980s at Apple after their IPO occurred at Vitacost.com. The Board of Directors forced Wayne to retire from the company he had founded for no stated reason. Interestingly and maybe not surprisingly, Vitacost.com has gone from multimillion dollar profitability in 2009 to over $34 million in total net losses to the end of Q1 2012. Wayne used the opportunity of his “retirement” to attend CAE Simuflite in Dallas, TX along with myself (in fact we were the only two in the class) to earn his Phenom 300 single-pilot type rating and then took delivery of a new 2011 Embraer Phenom 300 at the Embraer Factory in Brazil and flew the aircraft to the USA. 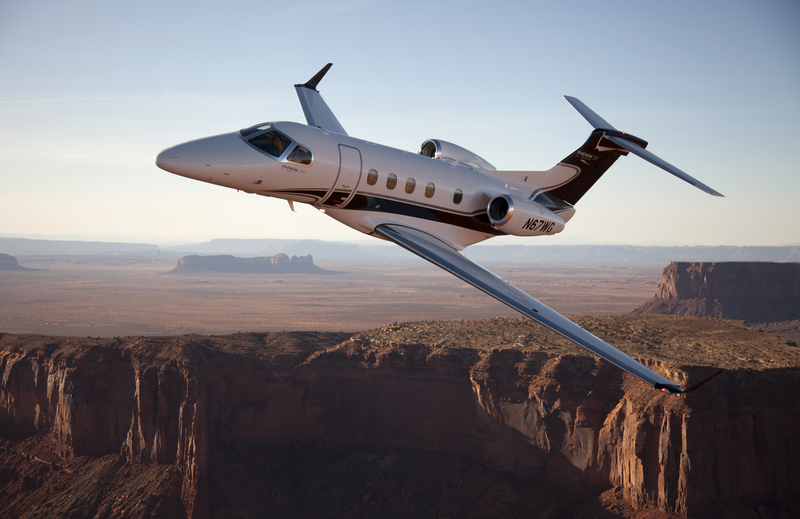 Wayne particularly enjoys the Phenom 300 as it provides for almost twice the range of about 2,000 NM at full fuel with a useful load that is double that of the Phenom 100 plus a 80+ knot higher cruise speed in 420 kt range at FL410 – 450 and with a top speed of 453 knots. Also being able to climb to FL 450 allows Wayne to top more dangerous weather and mountain wave turbulence not to mention cruise out of the RVSM congested flight levels. The Phenom 300 also has a superior pressurization system keeping a 6,600 foot cabin at FL450 and ultra-efficient 3,360 lbs per side of thrust Pratt & Whitney engines that provide a total fuel burn of only about 850 pounds per hour whereas other older and less efficient jets can burn double this amount. Being the consummate entrepreneur, Wayne decided to launch a new superior nutritional company in 2011 based on cutting edge science and state of the art manufacturing equipment related to vitamins, herbs and natural health products. Wayne founded Las Vegas Nevada based www.drvita.com, and just as his previous company, the operations are 100% U.S. based including manufacturing and customer service. Wayne expects this new business venture will create hundreds of full time employment opportunities with excellent compensation and benefits to provide his customers with the best quality and service possible. 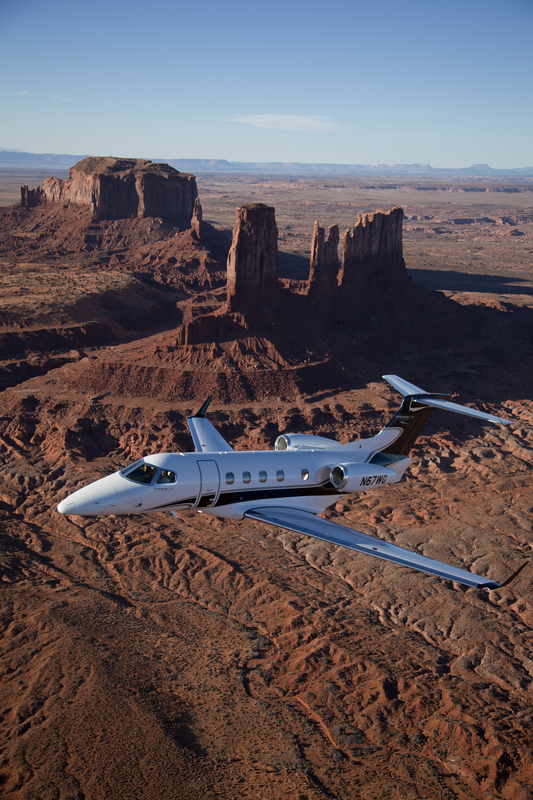 Wayne has integrated the capabilities of his business jets, the Phenom 100 initially, and now his more capable Phenom 300 to rapidly travel to meet with raw material, equipment and other suppliers located all over the USA. What would typically be a painfully time consuming multi-day trip using commercial airlines plagued with delays, cancellations, oversold flights and worse becomes an enjoyable and productive same day trip. The power of business aviation provides Wayne a level of safety, efficiency and security impossible via commercial airlines. Wayne’s next goal is to make www.drvita.com the #1 online vitamin company in the world, just as he did with Vitacost, and upon this accomplishment to upgrade his Phenom 300 with a new Embraer Legacy 500. Dave Coffman invites your feedback via the comment section below.